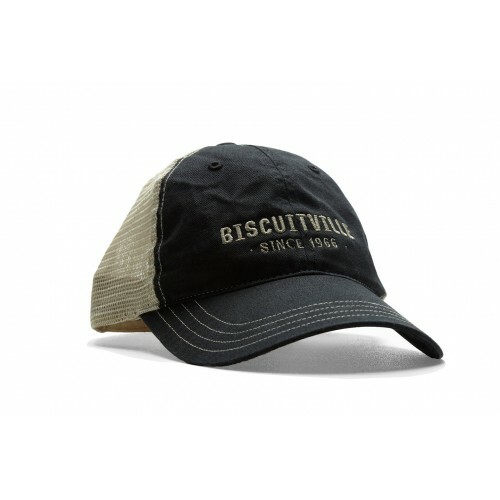 Go old-school with our relaxed fit black Biscuitville cap with tan mesh. 100% cotton front panel and visor. 100% nylon mesh back panel. Features a pre-curved bill with four rows of stitching. Sewn eyelets, cotton twill sweatband and plastic tab back closure.